Link King has achieved to create an unprecedented phenomenon in the game halls and bingo halls of Spain where it has been installed, raising such expectation among customers, who wait for a free terminal to try their luck with the flagship product that is triumphing worldwide. As Vicente Fernández, commercial director of Zitro Spain, states: “We are living through a phenomenon never seen before in these kinds of platforms. The players are eager to try this new product that, without a doubt, is leaving them fascinated. LINK KING is a completely original and different type of game compared to anything currently in Spain and that fact is being appreciated by players “. Manuela Jiménez, Vice President of Zitro, said: “We deeply appreciate the trust that our customers place in us and in our products. Link King is being an authentic revolution in the commercial portfolio offer that Spanish theatres were waiting for “. Link King has great progressive jackpots and a completely different, exciting and mainly constant bonus. Its presentation is also impressive thanks to the new Fusion cabinet that stands out due to its advanced technology and Ultra Slim design, combined with a panoramic sign of 3 screens and accompanied by extremely vibrant and impacting images and sounds that generate a unique entertainment experience. 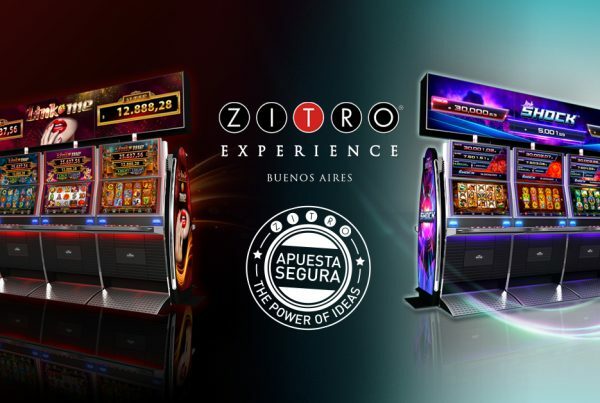 Johnny Viveiros Ortiz, Founder of Zitro, adds: “Link King is not only a phenomenon in Spain, but it is currently number one in all the casinos in the world where we have installed machines. The best thing is that we are still going to surprise even more with everything that comes in 2019”.